WordPress wins the race when it comes to blogging platform and their effectiveness. The gradual shift of WordPress to an accomplished content management system is another reason for this platform to outshine exceptionally well. Today, e-commerce websites are not imagined without WordPress being their CMS. 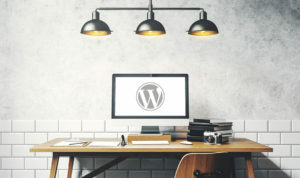 In addition to this, WordPress also powers sites that are meant for photography, blogs, business directory, portfolio websites and many such other purposes. WordPress comes as an exceptional solution for all these requirements as it is very much easier to manage and update at the same time. WordPress sites are not only easy to manage but also easier to develop. It requires you having the little development skills to accomplish the job with the utmost ease. We are describing the various steps that are performed while WordPress website development takes place. We are not going deep into technicalities and will explain the procedure in simple steps so that the non-technical readers can also get familiarity with the processes that are performed. Here is a step-wise explanation of WordPress website development! Conceptualizing unique ideas is much important for actually working on the development phase. Having a well-planned idea helps to initiate the development in a planned way. As soon as you have chosen the particular theme to develop the website, it is now time for you to work on the WordPress website development. Starting with a basic sketch map will help in ensuring the different aspects of the website such as content, design, and other development procedures exceptionally well. If you have planned well, particular requirements can easily be entertained in the development phase only. The best thing about WordPress is that it has its own theme directory. Having its own theme directory helps the users choose unique options to use over their websites. You will be given options in the form of free and premium themes. Free themes are not going to cost you much; however, for premium themes, a certain amount would be charged. Themes are extremely important to include in the websites as they define how a website looks to the visitors. WordPress directory is full of themes and thus, you need to pick up the options that are mobile-friendly, compatible with the latest browsers, compatible with WordPress versions and have options of customization too. Branding is the next step after choosing the right theme for WordPress website development. Branding your theme will help you showcase your website as a unique one. 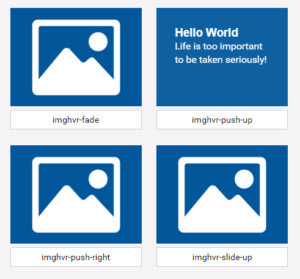 While branding your theme, you need to bring innovative changes with the help of the widgets. Users can also add their website logo in this step only as it will perfectly reflect the face of the business. It is also the time to add new fonts to the website and make it as much appealing as possible. The sites’ designing structure matters the most as it appeals the users if structured well. While structuring the website, there must be enough space for banner, body, footer, and other such elements over the website. Keeping the design structure simple and clean is suggested though. Posting engaging content over the website is also important to get prospects easily. Users visit websites in order to learn new stuff and to hold their attention for longer, it is important to post piece of content that is engaging and user-centric at the same time. Images complete websites and this is true also for e-commerce websites. Including exceptional images over the websites could make it appealing to the users and thus, they are sure to browse around the different elements of the same. Such clients could further act as the potential prospects to offer the much-needed conversion for e-commerce websites. While adding the images, keep in mind to include the pictures that show some connection with the website along with the content that is posted on the site. Users are going to accept something that has just been posted and does not seem to be appropriate either with content or with the structure of the site. Addition of plugin helps in including the new features to the website. Right from securing websites to providing better SEO rankings, plugins are all there to accomplish such jobs for the users. A little knowledge on installation can help users add exceptional features over the websites. One can follow the WordPress guidelines to go through an easy installation process. WordPress is exceptional and so are its attributes. With this reason, it seems to be an exceptional platform for developing e-commerce websites. Moreover, by keeping all these points in the mind, users can easily design their own WordPress websites. Williams Heilmann is a WordPress website developer and offers services of PSD to WordPress Conversion at PSDtoWordPressExpert and keeps on analyzing, sharing and updating the clients on the effectiveness of WordPress.